Sign up to Dry July Australia 2018 and raise funds for Concord Cancer Centre. Concord Cancer Centre provides first class cancer treatment and is a research leader in a number of cancer related areas, including: Haematology, Medical Oncology, Palliative Care, Gastro Intestinal Cancers, Breast Cancer, Genito Urinary Cancer, Lung Cancer, and Survivorship. Concord Cancer Centre is based at Concord Repatriation General Hospital, a major tertiary hospital in Sydney Local Health District. Our vision is for a world class holistic centre providing the latest care based on sound research with access to a range of treatment options. Concord Hospital has been providing health care for over 70 years and remains at the forefront of innovation, research and treatment options. Concord Hospital is home to some of the best research facilities in NSW including the ANZAC Research Institute and the Asbestos Disease Research Institute. Clinicians and researchers work together to find better treatments to ensure that patients diagnosed with cancer achieve the best possible outcomes. Hospitals and services in the Sydney Local Health District are networked to ensure all patients have access to the best available treatments. Together, with Royal Prince Alfred Hospital and Chris O'Brien Lifehouse at RPA, our patients have access to one of the largest concentrations of cancer expertise in our state. At Concord Cancer Centre, care is managed in a collaborative model with a team of specialist doctors, nurses, and diagnostic and allied health staff to support patients before, during and after their discharge from hospital. The Sydney Survivorship Centre as part of the Concord Cancer Centre was established in 2013. The Survivorship Centre is a place where cancer survivors have access to a dedicated team of multidisciplinary professionals to support their individual needs following a cancer diagnosis. The Sydney Survivorship Centre also provides educational resources, holds public forums and other events including wellness programs. In 2018, it is envisaged that Dry July funds will be put towards ongoing Survivorship wellness programs; the development of a Survivorship ‘therapy garden’; and potentially minor structural works with the goal of expansion of the existing Survivorship Centre space. We're proud to announce that Concord Cancer Centre has received a grant from the Dry July Foundation 2018 Grant Program. Throughout the month of July, Concord Cancer Centre held a Dry July fundraiser BBQ every Thursday at Concord Hospital’s ‘Market Day’. There was also a Concord Cancer Centre Dry July raffle, which included generous prizes donated by friends and supporters. Prizes included a signed and framed 2018 Wallabies Jersey; One month’s free F45 training (Ryde F45); and a case of Penfold’s wine (to be enjoyed post Dry July!). In total the BBQ's raised over $1,600! Pictured are the team that made the BBQ's happen! Mother of three, Margo Tannous, was first diagnosed with breast cancer in 2006 and after beating it once, was faced with the devastating news seven years later that the cancer had returned. 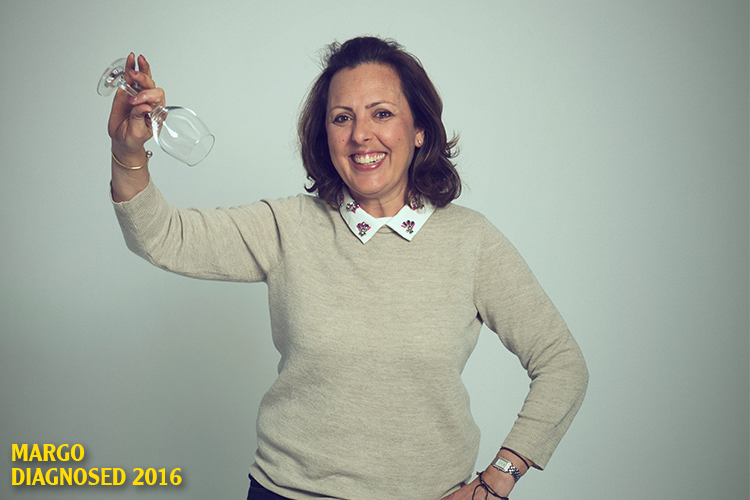 Margo is the beautiful face of this year’s Concord Cancer Centre Dry July campaign. Margo will be featuring on oOh media animated and static print at the 3 local shopping Centre’s to Concord Hospital: Burwood Plaza, Rhodes Shopping Centre, and Top Ryde Shopping Centre; between June 25th and July 8th 2018. My journey began in 2006 with breast cancer. It was just before my 33rd birthday when the devastating news that I had stage 2 breast cancer. It not only changed my life but also my family’s life as well. I am a wife and mother to 3 wonderful children who are now 17, 15 and 13. I am a sister to a brother and 4 sisters. I am a daughter to my parents. This was the first time cancer had invaded my family and God willing the last. Fast forward to 2013 when more devastating news hit us again, my cancer was back and it had metastasised. I couldn't believe it. I thought I was done with this disease and then it invaded my life again after nearly 8 years. I think it was more devastating than the first diagnosis because this time, the cancer was in my bones. I know this is not curable but I intend to best this cancer with not only my faith but by also being positive. You can take a diagnosis in different ways but I have chosen to tackle it to the ground and keep it there. Cancer is not going to beat me, I'm going to beat it. I encourage everyone to get behind Dry July and support it. Every cent counts. Money raised will be put towards the cancer centre at Concord hospital. You can help patients like Margo by signing up and registering to raise funds for the Concord Cancer Centre at www.dryjuly.com/beneficiaries/concordcancercentre. Concord Cancer Centre had a special visit this week from ‘Fast Ed’ Halmagyi, celebrity chef and star of Channel 7’s Better Homes and Gardens. 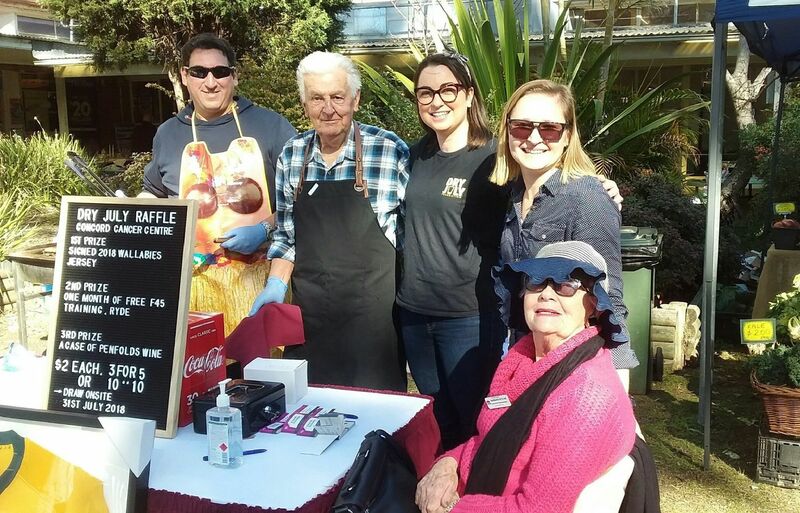 In his spare time, Ed is an ambassador and keen supporter of Dry July and raising funds to support those affected by cancer. 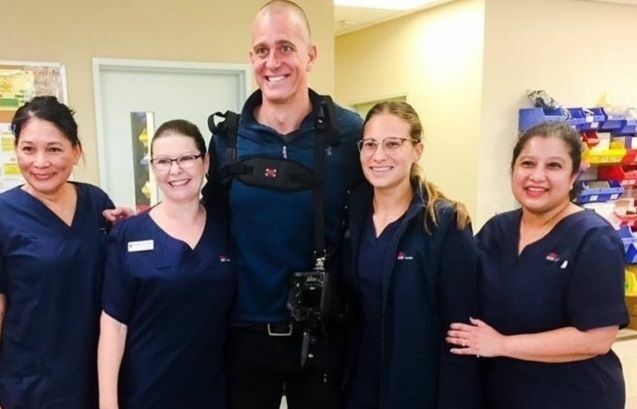 Ed spoke to patients and families about their cancer journey, candidly capturing their stories for a special series he will share throughout July. Concord Cancer Centre has received more than $350,000 from the Dry July Foundation in the past five years, funding initiatives such as chemotherapy chairs, a dedicated music therapy program, survivorship wellness programs and waiting room improvements. Be sure to follow Ed’s Dry July journal on Instagram @fastedmedia.